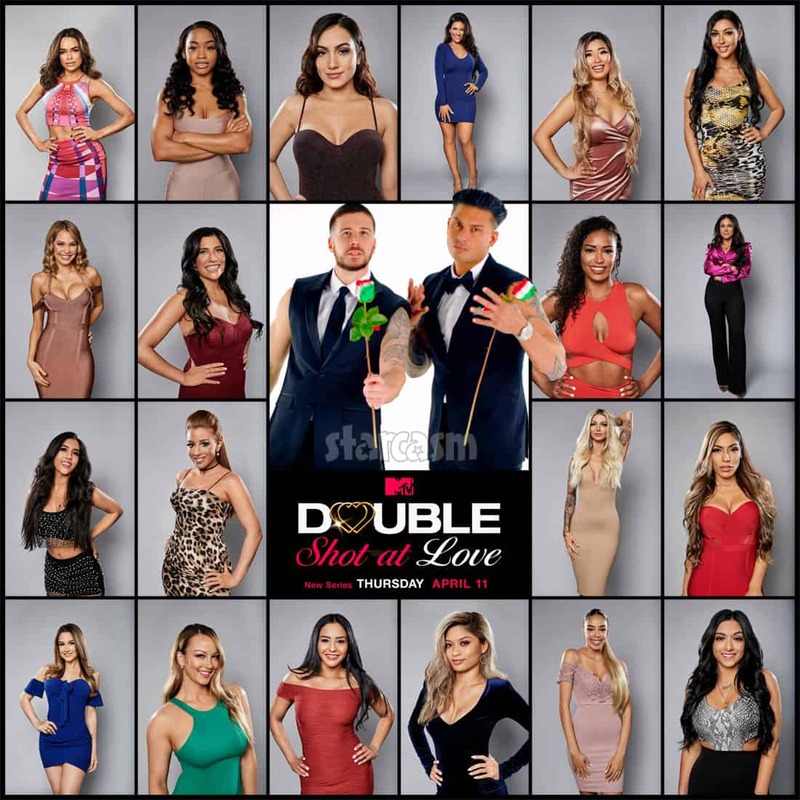 MTV continues moving forward by going backward as they bring back their Double Shot At Love reality dating competition next month. However, this time around, they are replacing bisexual Tila Tequila with the guidouble shot of Jersey Shore bros Pauly D and Vinny Guadagnino! Keep reading to watch the first teaser trailer, plus see photos and brief bios for all 20 women who are DTC (down to compete) to be ride-or-dies for the Shore bros! 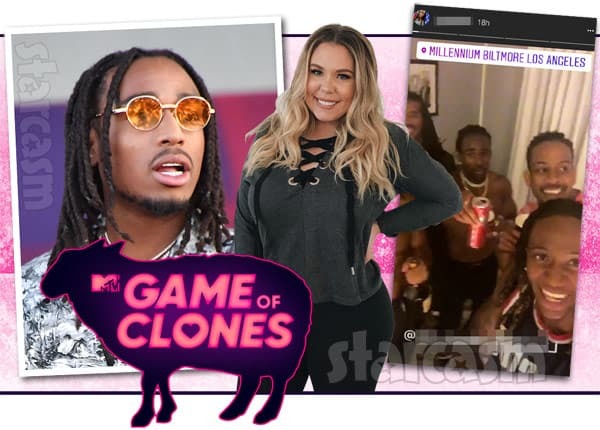 As we reported waaaaaaaaaaay back in May of last year, Teen Mom 2 star Kail Lowry will be starring on an MTV dating reality show in which she dates seven men who all look like her celebrity crush, Migos rapper Quavo. 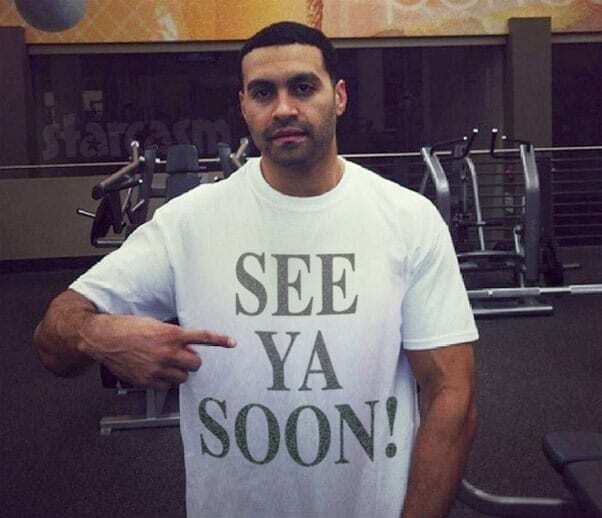 Joining Kail on the new series will be Jersey Shore star Pauly D, as well as numerous stars from The Challenge. Jersey Shore couple Jenni "JWoww" Farley and Roger Mathews made headlines in September when it was first revealed that she had filed for divorce after nearly three years of marriage and two children. There were even more headlines in December when JWoww filed a restraining order against Roger after a heated alteration reportedly over her having to go to work the next day. 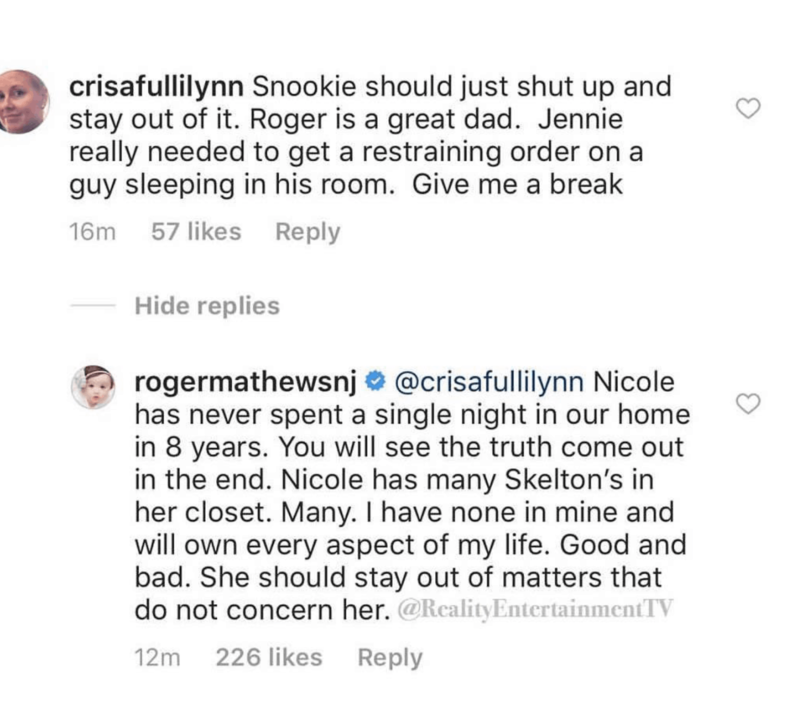 After both incidents, Roger took to social media to insist that he was just trying to be a good husband and father, and also to make accusations about JWoww. Meanwhile, JWoww remained silent aside from a statement from her rep acknowledging there was an incident and a restraining order filed. While Roger has continued his social media campaign to win over public opinion, JWoww has maintained her silence. Until now. Last week's domestic drama between Jersey Shore's Jwoww and her husband Roger Mathews continued to escalate on Instagram over the weekend. 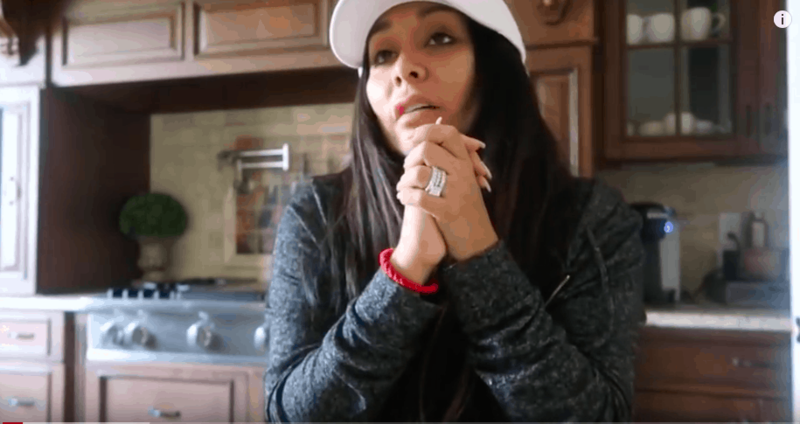 Snooki, who is currently pregnant with her third child, posted a video of Jwoww talking with police. Roger reportedly had some choice words for Snooki for getting herself involved. The tumultuous relationship between Jersey Shore star Jenni "JWoww" Farley and her husband Roger Mathews looks to finally be over after JWoww filed a restraining order against Roger late Thursday night. Roger posted a series of 11 videos after police served the restraining order at roughly 2AM Friday morning, including footage from the back seat of a police car. JWoww has remained silent aside from a statement issued by her rep, but the same cannot be said for her bestie Snooki, who geared up and went to war for her MTV co-star in the Instagram comment trenches! 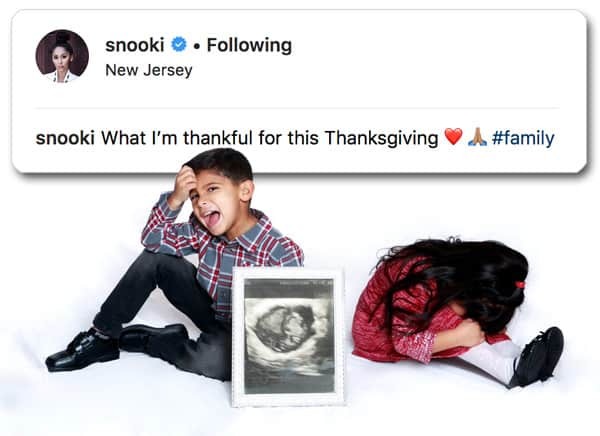 Jersey Shore star Nicole "Snooki" Polizzi is celebrating Thanksgiving with more than just a turkey in the oven! The 30-year-old reality star revealed on Instagram and Twitter that she is currently pregnant with her third child with husband Jionni LaValle!